We build what you need, when you need it. 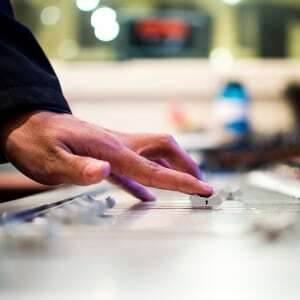 For more than 25 years, Sterling Modular has designed, manufactured, and crafted high-quality studio furniture for recording/tracking, mixing, and mastering, and for broadcasting. 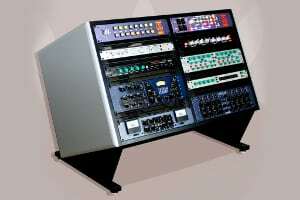 Standard lines of consoles and varieties of rack units. What is delivered to our customers are quality products designed and finished by our in-house craftsmen. 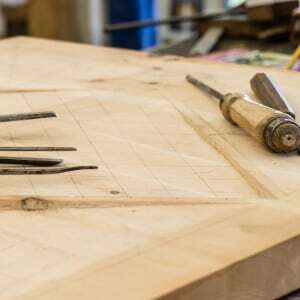 Each craftsman personally controls and oversees every operation. Each of our products are made at fair prices, using the best available materials, methods, and hardware. 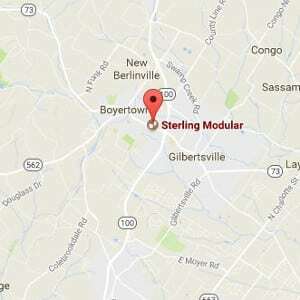 Proudly manufactured, finished, assembled, and packaged in our factory in Boyertown, PA, Sterling Modular has grown consistently based on customer satisfaction, our solid reputation for quality, and superior customer service. Future growth will be based on delivering high-quality audio furniture to an expanding group of “like-minded” clients who appreciate value-driven craftsmanship. The Plan Series, still the most intelligent, game changing consoles in the industry, has been upgraded to enhance the original technical specifications for heat dissipation, minimal acoustic impact, and ergonomics. 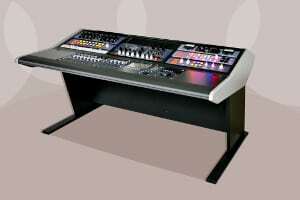 The perfect complement to our consoles as well as an elegant addition to any control room. With improved acoustic transparency and superior thermal air flow, we have succeeded in creating an attractive, classically-styled series of racks that will not soon go out of style. Everyone needs a place to put their mixer… but that’s not always the whole story. 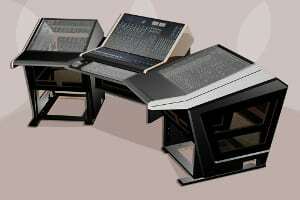 Starting with our properly-designed and acoustically-transparent Plan Series Audio Mastering Console, we convert the console to accommodate any mixing console. Produce. Compose. Mix. 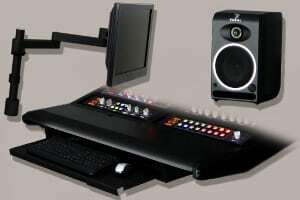 The “Multi-Station” is a versatile, affordable and stylish studio solution that is perfect as a mixing, mastering or composing workstation. 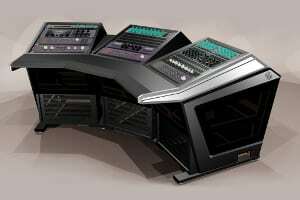 The desk surface is modular and can be altered as your workstation requirements change. Transforming large format mixing consoles such as the API 1608, Rupert Neve Designs 5088, SSL AWS Series, Tonelux© 1628, Avid D-Control, and others into the centerpiece of your studio. 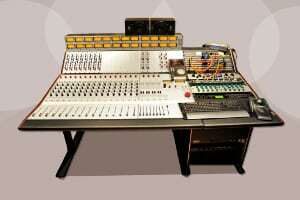 This gives your console the look and feel of a vintage (large format) console. A very wide array of options and accessories is offered to enhance the beauty, and optimize the functionality, of your finely-crafted Sterling Modular furniture.